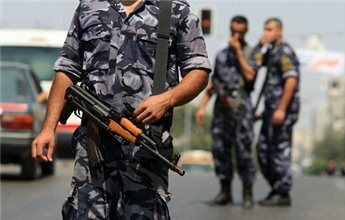 The released documents which revealed the engagement of a Fatah-affiliated security cell in the incitement campaign in Egypt against Hamas and Gaza were extracted from a notebook computer owned by a Palestinian authority intelligence officer who were arrested lately, according to a senior security source in Gaza. The security source told the Palestinian information center (PIC) that the Palestinian security forces in Gaza detained a few days ago a PA intelligence officer named Mohamed Abu Diya after his return to Gaza through the Rafah border crossing and confiscated his laptop. Palestinian Authority’s various security arms nabbed four Hamas supporters and summoned five others over the past 24 hours. Local sources said that two citizens were taken from their homes in Tulkarem city and nearby village of Deir Al-Ghusoon at the hands of PA preventive security. The same apparatus arrested a teacher in Qarawat Bani Hassan village in Salfit and a young man after returning from Jordan. The preventive security in Ramallah summoned four citizens including a lawyer and the 55-year-old father of Nasri Asy who is serving 18 life sentences in Israeli occupation jails. The two other summoned youths announced they would not obey the summons. PA security in Jenin summoned a liberated prisoner from Jaba village in Jenin province, locals said, adding that he had served 13 years in Israeli occupation jails and was previously held by PA security apparatuses. 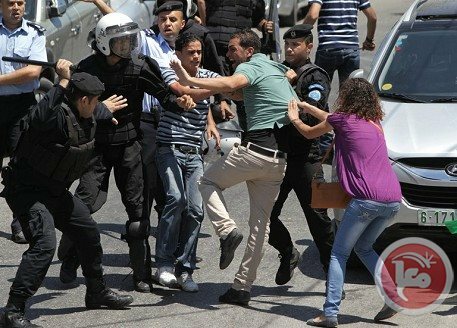 The Palestinian Council of Human Rights Organizations on Monday called for the dismissal of Palestinian police who attacked protesters in Ramallah a day earlier. 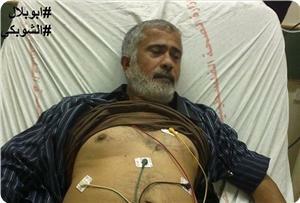 Prisoner rights group Addameer said police injured dozens of protesters and arrested demonstrators in public hospitals. The PCHRO urged the PA premier to appoint an independent fact-finding commission to investigate police handling of the rally. Senior police who gave orders and those who carried out attacks on protesters must be questioned and tried in courts, the PCHRO said in a statement. "All police officers, detectives and officials who are convicted must be dismissed," the council said. 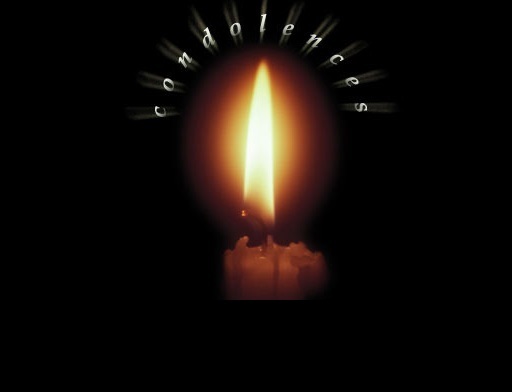 The results of the investigation must be made public and the assailants must apologize to the victims, it added. The council said the actions of Palestinian Authority officials and police commanders contradicted their claims to support freedom of assembly and expression. "Reality reveals how big the gap between remarks and practices is. The police and security establishment is still far from implementing a culture of respect to citizens' rights and freedoms," the PCHRO said. Palestinian Authority police released five people late Sunday who had been arrested at a Ramallah protest earlier in the day. Ali Amer Hamdullah, Fayeq Meri, Yousef Farouq Hamdullah, Tamer Arar, and Iyan Ayaydeh were all arrested on Sunday as hundreds of people marched in Ramallah to protest the PA's decision to return to negotiations with Israel. All of the men are affiliates of the Popular Front for the Liberation of Palestine. 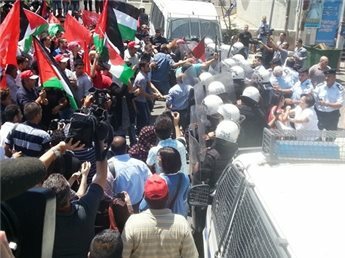 Four PA police officers and three protesters were injured when both sides clashed during the march, which was organized by the PFLP, a Ma'an reporter said. Palestinian Legislative Council member Khalida Jarrar was assaulted by a policeman during the clashes, witnesses said. After months of dogged diplomacy, Kerry earlier this month, on his sixth trip to the region, wrested from both sides an accord setting out "the basis for resuming direct final status negotiations," State Department spokeswoman Jen Psaki said in a statement Sunday. Israeli Justice Minister and chief negotiator Tzipi Livni, as well as legal aide Yitzhak Molcho, will first meet late Monday with Palestinian chief negotiator Saeb Erekat and senior official Mohammad Shtayyeh for an Iftar dinner hosted by Kerry to break the fast observed during the Muslim holy month of Ramadan. 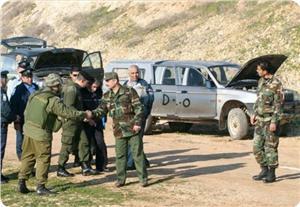 "Initial meetings are planned for the evening of Monday July 29 and Tuesday July 30, 2013," Psaki said in her statement. PA security forces launched Friday a summons campaign against Hamas's cadres and supporters in Yatta south of al-Khalil targeting youths and liberated prisoners mainly. PA Preventive Security services have handed summonses to two Palestinians in Yatta town including a liberated prisoner who was released from Israeli jails two weeks ago. The PA forces also summoned three liberated prisoners including a father of a prisoner in Israeli jails, in addition to a doctor who was served 19 months in Israeli jails. 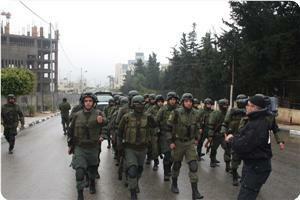 Two preachers were also summoned by the PA forces. 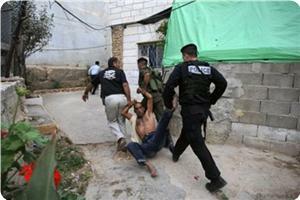 The mentioned Palestinians who were summoned today in Yatta town were arrested more than once in PA and Israeli jails. 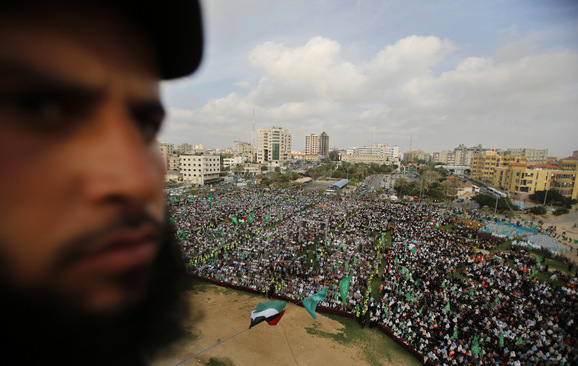 Hamas movement considered the escalating PA arrests against members of the Islamic movement in West Bank as a desperate attempt to eradicate the movement in occupied West Bank. The arrests against Hamas members in the West Bank prove the security coordination between Fatah movement and the occupation authorities, Abu Zuhri said, pointing out to Abbas's boasting of this achievement. These crimes will not achieve their aims, he added, holding Fatah movement fully responsible for the consequences of its crimes. Hamas movement accused PA security forces of arresting three members of Hamas movement and summoning two others of its supporters. In a press release, the movement said that the PA forces arrested Hamza Zableh, 22, in al-Khalil and two other young men in Surif village, one of them was released two weeks ago from Israeli jails. The statement added that the PA forces summoned also the liberated prisoner Mohammed Fares Abu Arqub who served 8 months in Israeli jails. In Nablus, the PA forces summoned the liberated prisoner Firas al-Zubaid who was detained and tortured many times in Israeli prisons. Hamas statement pointed out that political prisoner Fathi Mahmoud Hayek, a leader in the Islamic movement in Salfit city, continues his hunger strike for the fourth day in a row in PA jails. Hayek, 44, was arrested on Monday after being summoned. He was arrested more than once in PA jails. He served 12 years behind Israeli bars before being release five months ago. He is a father of eight sons and daughters, and he suffers many health problems due to the severe torture he faced in Israeli jails. The Palestinian authority security apparatuses kidnapped three Palestinians affiliated with Hamas and summoned for interrogation eight others during the last few days in different West Bank areas. In Salfit city, the PA preventive security agency detained senior Hamas official Fathi Al-Hayek after summoning him for interrogation, according to local sources. The preventive security in Tubas also detained a father of a student at Al-Najah university for several hours to pressure his son Abdullah Odeh to turn himself in after he had declined a summons for interrogation. In Ramallah, the PA intelligence agency kidnapped Ziyad Naser, a 35-year old young man from Deir Qadis town. He is the brother of senior Hamas member Riyadh Naser, who was released several weeks ago from an Israeli jail. His family said that the intelligence used a gang style to kidnap its son Ziyad, who works as a satellite TV technician, affirming that a man phoned him for a repair service, but when he arrived at the specified place, gunmen from the intelligence were waiting for him. Ziyad, a father of two children, had received many summonses from the intelligence agency, but he refused to respond to them. His family said that its son has been exposed to severe torture at the hands of the PA intelligence interrogators since his detention and held the intelligence fully responsible for his life. The PA security apparatuses also summoned for interrogation eight others in different West Bank areas, among them three students at Al-Quds university. The Islamic student bloc at the university, in turn, strongly denounced the arbitrary detention of students, especially during the season of the summer final exams, and called on all university students not to respond to summonses issued by the PA or Israeli security apparatuses. MP for the Change and Reform Bloc Dr. Nasser Abdel Jawad, from the town of Salfit in the north of the West Bank, said that the Palestinian intelligence service in the city summoned his son Oways. Dr. Abdel Jawad said on Saturday on his Facebook page that the Palestinian police handed him a summons for his son ordering him to come to the Palestinian intelligence headquarters. The MP refused to receive the summons. He said that the political summonses are unethical and illegal because they are not accompanied by a judicial warrant as stipulated in Palestinian law. "After all, this is not the first time in which the security services arrest and summon my son Oways, also it is not the first time in which they target MPs' sons and family members without reason. We are expecting that the intelligence will kidnap Oways at any moment." Dr. Abdel Jawad noted that the Authority security apparatuses in the West Bank always launch smear campaigns against the MPs, pointing that they have falsely claimed earlier that he was heading a gang to kill Fatah leaders and that they have found a gun in his home. 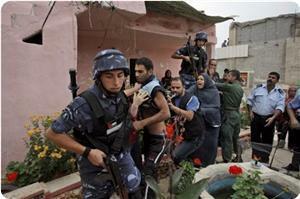 Hamas movement strongly condemned the PA forces' violations against Palestinian women and civilian houses in West Bank. The spokesman for the movement, Sami Abu Zuhri, said on Saturday that the PA Intelligence Forces had brutally stormed on Friday the house of the liberated prisoner Muhannad Nieroukh where they assaulted him and attacked his mother and his two sisters and removed the women's veils. He stated that the PA forces' attack against women during the holy month of Ramadan and the continued arrests of liberated prisoners reflect their degraded ethics and national values. Abu Zuhri considered such measures a violation to the reconciliation talks, saying that this brutality confirms the PA keenness to protect the Israeli security at the expense of its people and reconciliation. Meanwhile, Israeli media sources affirmed that the PA forces thwarted more than ten Palestinian resistance operations against Israeli targets during the past few months. The Israeli radio quoted a Palestinian security official as saying that the resistance was trying to restore its power in West Bank cities. Palestinian Authority security apparatuses arrested three Hamas affiliates in the occupied West Bank, and summoned four others. In al-Khalil, elements of the General Intelligence at dawn Friday arrested liberated prisoner Musab Abu Sneineh, 25, after raiding his home in the area of Wadi al-Harya. 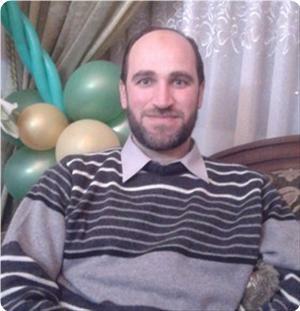 Abu Sneineh has been released only two months ago from the Israeli jails, where he served about three years. 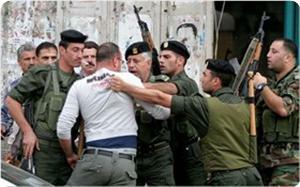 He had previously been summoned several times by the Preventive Security Service (PSS) in al-Khalil. Musab's father considered the arrest of his son a crime as he did not commit any offense against the Authority, and appealed to the human rights organizations to intervene rapidly to release him. The Palestinian Intelligence service has also arrested on Friday the liberated prisoner and former political detainee Muhannad Niroukh and his brother Musab after raiding their house and attacking their mother and two sisters. One of Muhannad's sisters was transferred to hospital as she went into a coma after the intelligence elements severely assaulted her. For its part, the PSS summoned a liberated prisoner from Dura village and a student at the Palestine Polytechnic University. He had been summoned twice earlier during this month. 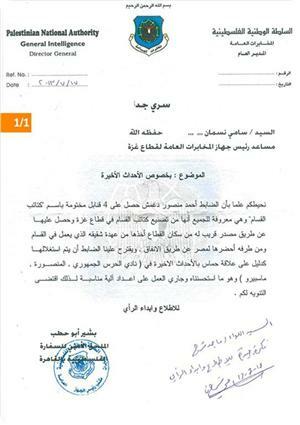 The Preventive apparatus summoned another liberated prisoner and former political detainee, but he refused to obey. It also arrested student Fouad Jawabra at An-Najah National University from the town of Asira Al-Shamaliya in Nablus, and handed to a liberated captive a summons to its headquarters following two days of detention in the apparatus's jails. Another liberated prisoner and ex-political detainee from the village of Far'ta in Qalqilya was summoned by the intelligence service. 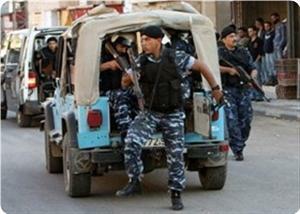 In Tulkarem, elements of the PSS tried to kidnap the liberated captive and student at An-Najah University Musab Qozah. 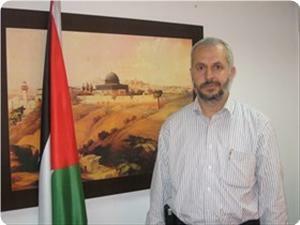 He is a member of the Students' Union Council for the Islamic bloc and a former political prisoner in the PA's jails. Meanwhile, the Israeli occupation forces (IOF) arrested on Friday night in Qalqilya and Tulkarem three ex-captives; liberated from the Palestinian Authority jails. 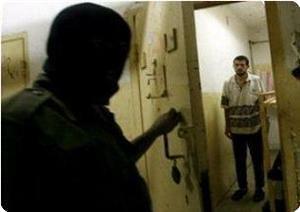 Hamas strongly condemned the systematic crimes of the occupation against Palestinian captives, and the international and Arab silence regarding the poor conditions of prisoners; especially the patients and the hunger strikers. Hamas movement said in a statement on Thursday that the serious ongoing abuses against Palestinian prisoners represent flagrant violation of international norms and conventions and should not be tolerated or condoned. The statement hailed the steadfastness of prisoners and stressed that the Israeli attempts will not undermine their steadfastness and will not succeed in breaking their will, adding that Hamas will make every effort to free them from jails. It also called on the Palestinian Authority to halt security coordination with the occupation in response to its aggression. "Seeing the tragic situation experienced by the prisoners in occupation jails, we call on our brothers in Fatah and PA in the West Bank to shoulder their responsibilities before our people and our prisoners and take bold steps against the occupation by stopping all forms of security coordination." Hamas also called on human rights and humanitarian organizations to take urgent action and put pressure on the occupation to immediately release the captives, and demanded the Palestinian people and factions to join forces in defense of and support for prisoners. The Palestinian security forces arrested three Palestinian young men in different West Bank areas at the pretext of their affiliation with the Hamas Movement and summoned a student in Al-Khalil city for interrogation. In Tulkarem, the PA preventive security forces kidnapped ex-detainee Ali Taki, from Kafr Abbush town. He had spent five years in Israeli jails and some time in PA jails. The preventive security forces also kidnapped a young man named Imad Ashuli from his workplace in Asira town in Nablus city. He was an ex-detainee in Israeli and PA jails. They also, for the third time in one week, stormed and ransacked the house of a prisoner in an Israeli jail named Mahran Abu Khamis in Al-Ein refugee camp in Nablus city. The preventive security had already detained the father of Mahran several times and his mother as well. Another young man named Isa Shatat was also taken prisoner by the preventive security forces after a violent raid on his house in Bidya town in Salfit city. He graduated from Annajah university a few week ago. In Al-Khalil, the preventive security summoned for interrogation Jabr Rajoub, a student at Palestine Polytechnic University and the former coordinator of the Islamic student bloc. Rajoub was released about 30 days ago from an Israeli jail after serving a 14-month sentence on a charge of his involvement in union activities. Sheikh Mahmoud al-Shobaki's family has held the PA Preventive Security fully responsible for his life after being transferred to hospital due to being subjected to severe torture during interrogation Monday in PA jails. PA Preventive Security has arrested Sheikh al-Shobaki after violently raiding his house in al-Khalil. A few hours later, he was transferred to hospital due to sharp health deterioration after being subjected to torture in the interrogation center. Sheikh al-Shobaki has been transferred to intensive care where doctors confirmed that he is in need catheterization. The PA preventive security apparatus apprehended the recently released detainee Mazen Al-Natshe, who was formerly the longest serving administrative detainee in Israeli jails. Natshe family members said in a press statement that preventive security agents took Natshe from his home in Al-Khalil on Sunday only four months after his release from Israeli custody. They said that Natshe, who had served 38 months in administrative detention, was the longest serving administrative detainee, recalling that he served ten years in Israeli jails on aggregate. 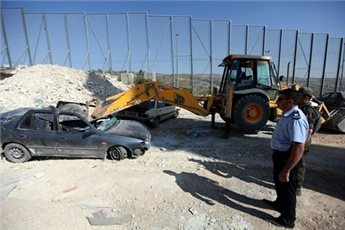 Palestinian Authority security forces destroyed dozens of unlicensed vehicles and made several arrests on Wednesday in a village near Bethlehem. Police raided Nahalin at 6 a.m. for the start of an operation that police official Luay Izreqat said would continue for several days. Police impounded and destroyed 40 cars with Israeli license plates and arrested several people wanted on various charges, he added. It is illegal for Palestinians in the West Bank to drive Israeli-plated cars unless they have an Israeli ID. According to a statistical report issued by Hamas movement, the PA security apparatuses assassinated a citizen hours after kidnapping him, and arrested 77 Hamas affiliates in the West Bank over the past month. The Information Office of Hamas said in a report, which monitors violations of the PA security services in the West Bank, that PA's apparatuses assassinated Haj Saadi al-Sakhl from the city of Nablus, hours after he was kidnapped. It added that 77 supporters and leaders of Hamas; including 44 liberated prisoners and 18 university students, have been kidnapped during the last month by PA's apparatuses. Meanwhile, the security services have summoned 78 Hamas affiliates, and extended the detention of 15 others despite decisions to release them, the report monitored. It also pointed out that the occupation forces arrested 4 leaders and supporters of the movement, who had been released from PA's jails. The Palestinian authority security forces arrested and summoned, in a new campaign, several Palestinian citizens for being affiliated to Hamas in the occupied West Bank. In Salfit, PA Preventive Security arrested a University student at al-Najeh University, Khaled Mohammed Khatib, who was detained more than once in PA jails. The Preventive Security also arrested two liberated prisoners from Salfit and summoned the liberated prisoner Rami Suleiman who declared his rejection to respond to the summons. 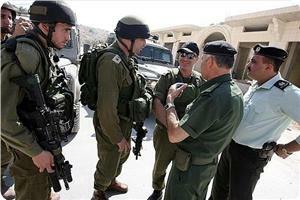 In Nablus, PA forces arrested the liberated prisoner Hani Halboni, 53, after storming his house. Halboni has served 9 years in Israeli jails. 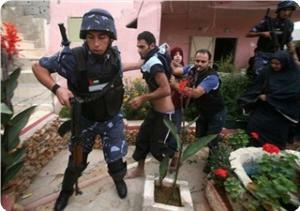 The PA forces continued to arrest 4 other citizens affiliated to Hamas movement since last week. In Qalqilya, Preventive Security Services arrested the liberated prisoner Alaa Sadeq Omar who spent 10 years behind Israeli bars, and the liberated prisoner Jamil Ali Omar who served 7 years in Israeli prisons, in addition to summoning another citizen for interrogation. In Ramallah, the citizen Khaled Abu Qaraa was transferred to hospital in a very difficult health condition one day after being released from PA jails on bail. An inquiry committee tasked to investigate the death of a member of Islamic Jihad during a shootout with Hamas police on Tuesday acquitted the officers on any wrongdoing. Gaza’s public prosecutor on Tuesday said that death sentences would be carried out soon against criminals convicted of homicide. "No crime will go unpunished," Ismael Jaber said while visiting the Mahdi family, which lost two members in a clan feud. The executions may be conducted in the presence of media, he added. Minister of the Interior and National Security Fathi Hammad in Gaza Strip denied accusations of recruiting military cells in the occupied West Bank to kidnap Israeli soldiers. He stressed that the Israeli threats aim to undermine the security and stability situation in Gaza strip especially in light the Ministry campaign against collaborating with the occupation. Israeli sources have accused Minister Hammad of carrying out operations against Israeli targets in the Israeli entity claiming the violation of the truce between Hamas and Israeli authorities under Egyptian mediation. 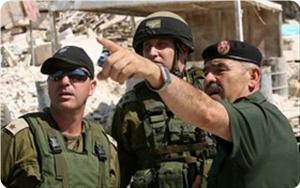 Hammad said that the Israeli threats in response to the Gaza security forces' protection of the Palestinian resistance. A state of tension prevailed within the Israeli authorities in light the success of the ministry counter-espionage campaign in the Gaza Strip. 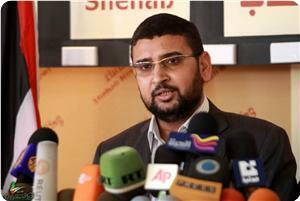 Hammad confirmed his determination to continue counter-espionage campaigns that had been very successful and fruitful. The interior ministry in Gaza had initiated earlier a counter-espionage campaign aimed at combating any sort of collaboration with the Israeli occupation. The Palestinian authority security forces arrested and summoned in a new campaign about 5 Palestinian citizens for being affiliated to Hamas, including an ex-detainee who served more than 10 years in Israeli jails and an activist in prisoners' issues. In al-Khalil, PA forces arrested the liberated prisoner Fadi Amr from Dura after being summoned for interrogation. Amr, a father of 3 children, was arrested several times by PA and Israeli forces where he spent 4 years in Israeli jails. PA forces detained the liberated prisoner Iyad Mujahid for several hours after storming and searching his house in al-Khalil. In Qalqilya, PA Preventive Security arrested the liberated prisoner Muhyiddin Odeh a week after his release from Israeli jails where he spent of 10 years in custody. The Preventive Security summoned the activist in prisoners' issue Amina Shaher al-Tawil. She was arrested two months ago for her activities in support of prisoners' issue. Al-Tawil, the spokeswoman for Palestine Center for Prisoners Studies, refused to respond to the summons.